Last October we announced Project Quantum, our effort to create a next-generation engine for modern computers, by leveraging technology from our Servo research project. Since then, our engineering team has been relentless in their focus on making Firefox incredibly fast. Already this year we’ve launched several major improvements to Firefox that have it made it better than ever. For example, we’ve transformed Firefox to run using multiple processes, striking the “just right” balance between speed and memory usage. In addition, we’ve launched game-changing features like WebAssembly and WebVR, enabling super fast, near-native performance for web apps on the desktop and on VR headsets. We’ve shipped a lot already, but we’ve been planning for many more projects to come together in Firefox Quantum. Firefox Quantum is such a big leap forward that you’ll feel it instantly, just browsing your favorite websites. 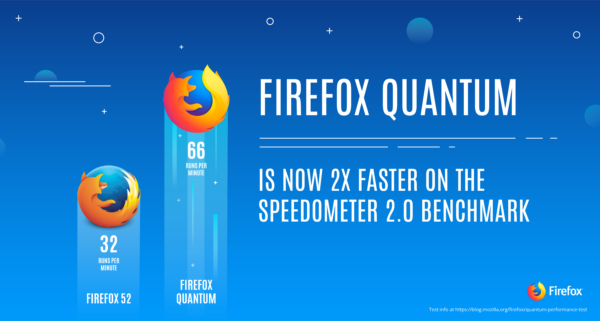 Turns out you can measure Firefox Quantum’s speed, too – our pit crew is kind of obsessed with a data-driven approach. One simple way of estimating browser performance is with Speedometer 2.0, a (still-in-development) benchmark that simulates modern web applications. Results vary based on the computer and apps you’re actively using, but one thing that’s relatively consistent is that Firefox Quantum is about 2X faster than Firefox was a year ago. We encourage you to make your own comparisons, but here’s a short video that captures our observations when comparing Firefox Quantum and Chrome on various websites. 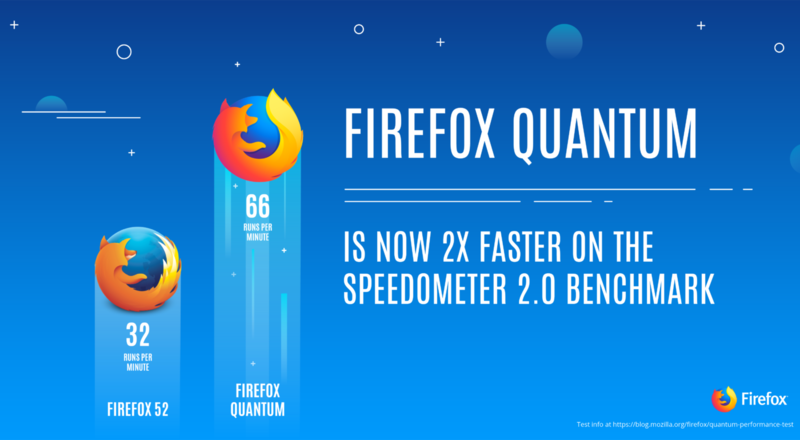 Firefox Quantum is often perceivably faster. Webpagetest running on Acer Aspire E15. Performance varies based on several factors. We’ve also improved Firefox so that the tab you’re actively using downloads and runs before other tabs you have open in the background. This prioritization of your active tab, along with Firefox’s “just right” multi-process architecture, results in Firefox Quantum often being faster than Chrome, while consuming roughly 30% less RAM. In addition, for the past several months we’ve run a browser-wide initiative to zap any instances of slowness you might encounter while using Firefox. So far our pit crew has fixed 468 of these issues, both small papercuts and big bottlenecks. It’s not enough to perform well on benchmarks, it’s also important that our users feel like they’re using a well thought out and high performance product. To reflect all these under-the-hood improvements, we’ve refined and rebuilt Firefox’s user interface through our Photon project. Our talented team of designers and user researchers spent time understanding how users perceive web browsers, and in particular where they felt they were waiting on their browsers. With the new design, Firefox leaps ahead with a new interface that reflects today’s reality of High DPI displays and users who are more task focused than they’ve ever been. We’re confident that with Photon, Firefox Quantum users will be impressed by the modern new design that puts their needs first. 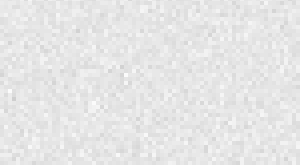 Photon doesn’t just look good, it’s also smarter. If you’re using Photon on a Windows PC with a touch display, the menus change size based on whether you click with a mouse or touch with a finger. Firefox Quantum enhances Firefox’s integration with Pocket, the read-it-later app that Mozilla acquired last year. When you open a new tab, you’ll see currently trending web pages recommended by Pocket users so you won’t miss out on what’s hot online, as well as your top sites. With the Pocket app for iOS and Android, you’ll have offline access to your saved stories wherever you go. If you’re already among the Firefox faithful, you’ll automatically upgrade to Firefox Quantum on November 14. But, if you enjoy the cutting edge, you can try it in Beta on desktop, Android, and iOS. Or, if you’re a web developer, download Developer Edition, which includes brand new, cutting-edge tools for those who build the web. So much has changed about Firefox these past few years, and even more is in store. To learn more about Firefox Quantum in November, visit our page and we’ll keep you up to date on the latest news. We’re super excited to get Firefox Quantum to our beta users and hope you’ll give it a try.